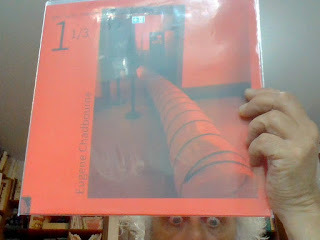 Quattro album in vinile riportano alla luce registrazioni soliste di Eugene Chadbourne risalenti addirittura alla metà degli anni Settanta. Li pubblica, in pochi esemplari, l'americana Feeding Tube Records con il titolo Solo Guitar. Due sono già pronti, e così li commenta Byron Coley: "Eugene Chadbourne is one of the great guitar players of the modern era. At the time he began recording in Canada in 1975, his music was a unique syncretic formulation. While its most obvious component was free improvisation in a style then most widely associated with English and European players, his music also contained elements of jazz, country, folk, blues, psychedelic and international sounds, referencing these threads in ways that were so diverse and intensely personalized it would take scholars decades to decode them."